Hello lovelies! I hope you're all doing good and enjoying this looovely weather! (To those in the UK that is, I hope it's equally lovely wherever you are otherwise!). 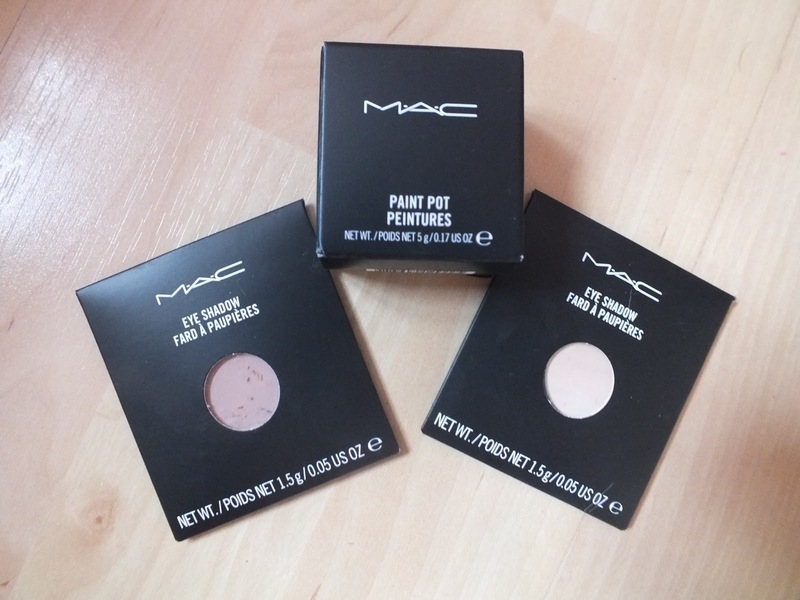 I mentioned in my last MAC post that I'd made a couple of MAC orders, the last being three quite bold, shimmery shadows to create a warm toned smokey eye and then these beauties! While I love bold eye looks for nights out and special occasions, I honestly can't be bothered with it day to day, however I do like to wear something on my eyelids just so they don't look so blaahh. So that's where this lovely lot comes in! 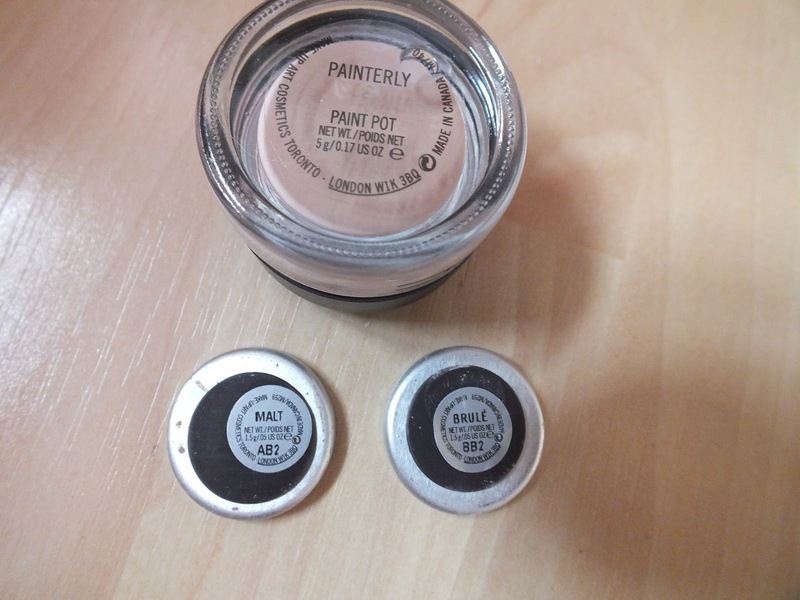 The Painterly Paintpot is actually a repurchase as my original one is coming to and after two years of use. I know you probably shouldn't use it for two years, but mine's still going strong and doesn't look/ feel/ smell funny at all so I wasn't really worried about using it too long. Anyway, if you're a long time reader, you'll have heard me harping on about Painterly in many a post so I doubt I need to go on too much, but basically it's - in my opinion - the perfect, matte, neutral shadow base. It works perfectly with all eyeshadows, particularly MAC ones and helps them stay put all day. It also doesn't crease if worn alone too which is great for those 'oh crap I have half an hour to get ready' moment. So, as well as re-purchasing my beloved Paint Pot, I went in search of the perfect shadows for the perfect 'no fuss' simple matte eye look. 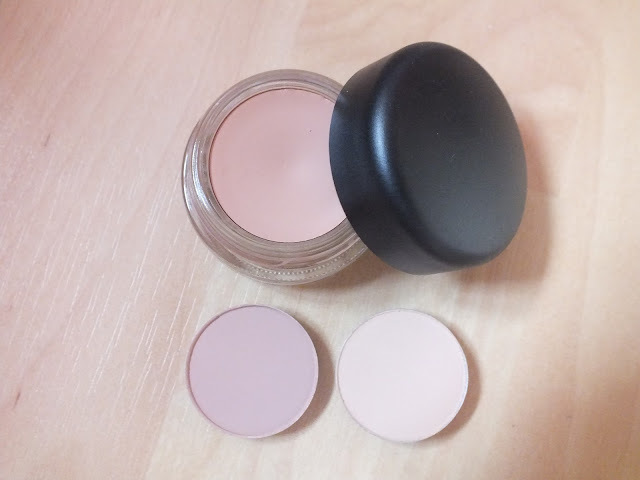 I scrolled through pages and pages of swatches and makeup looks on blogs and finally decided on Mulch, which is a very light pink toned beige, great for just sweeping all over the eyelid. It's not a million miles away from my skintone, just more pinky toned, so it's very forgiving if you're a bit careless with application. I then picked Brule as I thought it'd make a great highlight colour. I don't always like a shimmery highlight on the eyes during the day so this looked like a great colour to use instead of my usual Dazzlelight. These shadows are very pigmented, so don't need much building up, but as they're so neutral, they really are fool proof. I think they'd make great 'first shadows' if you're a makeup newbie, or just be a great addition if you like neutral/ quick and easy makeup for day to day! Most days, I'll use Painterly as my base, then sweep Malt all over first, then add Brule in the inner corner and brow bone and call it a day. Sometimes I'll add a bit of Omega (matte light/ mid brown) in the crease, or Mystery (matte dark brown) if I'm feeling adventurous ;) But most of the time, for a day to day look, I think these two with Painterly underneath look lovely on their own. I have Brule and I love it as a brow bone highlight! Pretty :) I'm still to buy a MAC eyeshadow (i know, oops), but these are all on my wishlist! I've never tried a paintpot, I may have to get this colour! I love Brule eyeshadow too, perfect for perfecting your eyelids for a cat eye I think! I still haven't tried painterly! Shame on me! I think I need to get it soon because I think it's a product that I will really like! I'm really getting back into MAC eyeshadows recently I have to say. I was ondering Brule the other day but when for Orb instead, and Painterly is defos a favourite of mine! I have never purchased anything from Mac as I think they are a bit pricey but I have made a little list & will eventually pick up something. These definitely have to be added to it, they look beautiful.